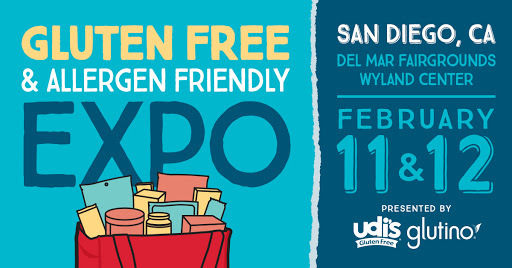 The giveaway for the Gluten Free & Allergen Friendly Expo has ended. Did you miss out on it? Don't worry I have a special offer just for you. 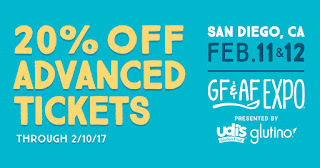 I am an affiliate with the GFAF Expo and can offer you 20% off code to purchase tickets up until 2/10/17. 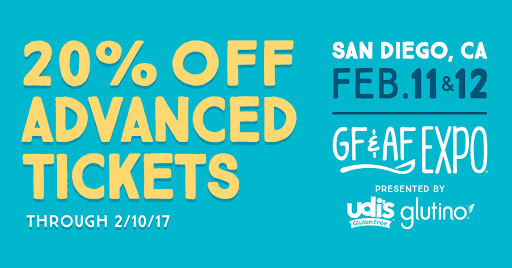 Follow my Affiliate Link and use the code word ADVANCE to receive 20% off until 2/10. I will be contacting each of you privately with the email provided to Rafflecopter with detailed instructions on how to obtain your free 1 day Adult Day Pass. You can also reach out to me as well, all my contact info is listed on this website. Thank you so much for everyone who helped me spread the word and participated in my 1st giveaway!